Pelikan introduced the model 100N in March of 1937. The “N” stands for new but rather than replace the model 100 that preceded it, the 100N was produced concurrently, initially just for the export market. It was designed as Pelikan’s response to a trend towards larger pens being produced by other manufacturers. The 100 was, by design, a smaller pen when capped and a very comfortably sized pen with excellent balance when posted. By 1938, the 100N was offered for sale in Germany as a way to celebrate the company’s 100th anniversary. Somewhat bigger than the 100 and with a larger ink capacity, the 100N continued to employ Pelikan’s differential piston mechanism. Production was constrained by war time rationing which limited the available building materials such as gold and cork. Shortly after its introduction, palladium and later chromium-nickel steel had to be substituted in place of gold for the nib. Around 1942, black plastic synthetic seals were first employed as a replacement for cork. Production was completely interrupted in 1944 due to the war and did not resume again until the factory reopened in 1947. The 100N saw several small iterations of design over its production, some of these better characterized than others. The earliest models had a strong resemblance to the 100 and some even sport the 4 chick logo on the cap top which was being phased out at the time of launch. 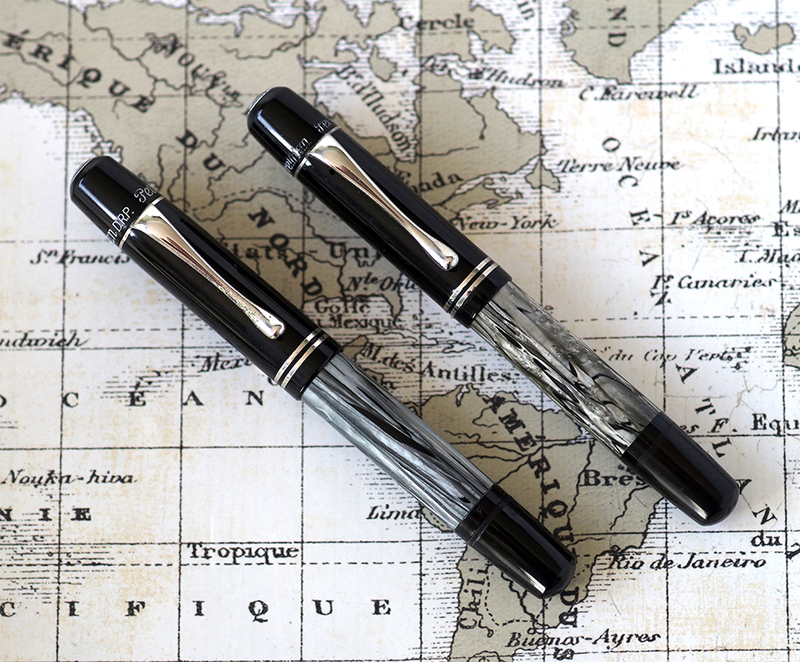 Other variations such as the Danzig (Poland) produced models and the Emegê pens (Portugal) also stand out and are full topics in and of themselves.